With the news that Glock and gun culture icon Chuck Norris have teamed up this week, you knew this was coming. In the follow-on Missing In Action 2: The Beginning, Chuck got his hands on a UZI, which likely whet his appetite for the gun, as he famously carried glistening Micro-UZIs in Invasion USA, using them to good effect in setting a trap for Russkis. 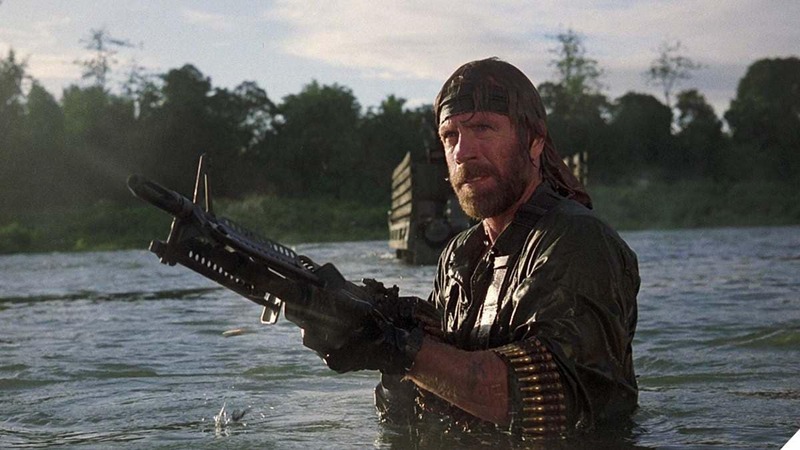 He also rocked UZIs in Delta Force I & II as well as an assortment of other steel to include bazookas, M16s, and various pistols. Besides, that movie had dirt bikes that fired rockets and dune buggies with machine guns.